Princess Ruth Keanolani Kanāhoahoa Ke‘elikōlani was born on February 9, 1826. Her mother Kalani Pauahi was the daughter of Kamehameha ‘Ekahi’s eldest biological son, Pauli Ka‘ōleiokū. Paternally, she was a keiki po‘olua – a child having two recognized fathers and inheriting the mana from both familial lines. Kalani Pauahi’s first husband, Kahalai‘a, was one of these fathers. Pauahi’s second husband was Mataio Kekūanāo‘a, whom she was married to at the time of Ke‘elikōlani’s birth. It is he who would legally claim Princess Ruth as his daughter. Kalani Pauahi died in childbirth and the babe was given to Ka‘ahumanu, favorite wife of Kamehameha ‘Ekahi, to be her hānai (adopted child). 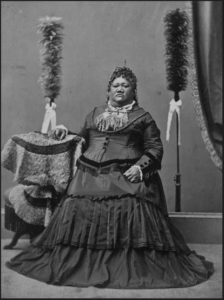 Ka‘ahumanu was then acting Kuhina Nui (Royal Regent) of the Kingdom and subsequently the most powerful woman in Hawai‘i. Ke‘elikōlani stayed with Ka‘ahumanu until her death on June 5, 1832, at which time she was returned to her father Kekūanāo‘a to be raised by him and his wife Kīna‘u. Kīna‘u was one of the sacred daughters of Kamehameha ‘Ekahi and therefore Ke‘elikōlani’s maternal grand-aunt. Upon Ka‘ahumanu’s death, it was she who inherited the position as Kuhina Nui to Kamehameha III. She had also recently become the hānai mother to newborn Bernice Pauahi Pākī, namesake of Ke‘elikōlani’s own biological mother and first cousin to the young Ruth. Ke‘elikōlani and Pauahi would from the time of infancy remain as loyal and close as sisters are to be. Their life-long aloha for one another would eventually inspire the vision that led to the founding of Kamehameha Schools, forever honoring their shared legacy. Princess Ruth was an anchor supporter of the perpetuation of Hawaiian traditions, culture, and language. Although very well-educated and able to speak English, she refused to do so and conducted all business and correspondence ma ka ‘ōlelo Hawai‘i, in her mother tongue. Ke‘elikōlani is known as being an incredibly formidable force, which can undoubtedly be attributed, at least in part, to the character of the women who reared her. As hānai daughter to two of the most powerful women in Hawaiian history, Ke‘elikōlani would follow in the footsteps of Ka‘ahumanu and Kīna‘u and find herself in important roles of leadership within her Kingdom. She was a member of the Privy Council and was appointed to the House of Nobles from 1855 to 1857. She also served as Governor of the island of Hawai‘i for nearly twenty years, from 1855 to1874. 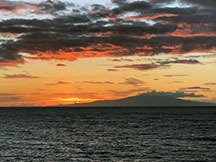 By the time Ke‘elikōlani reached adulthood, the first generation of foreigners had established themselves in the islands. The American Board of Commissioners for the Foreign Missions (ABCFM) missionaries, supported by Ka‘ahumanu and Kīna‘u, were teaching their ways and permeating all facets of society. Ke‘elikōlani witnessed firsthand the influence that foreigners were exerting upon not only Hawaiian Kingdom politics but on daily life as a whole. In response, she firmly stood against the new Western ways even as the political, social, economic, and cultural landscape of Hawai‘i so rapidly changed around her. On May 24, 1883, Ke‘elikōlani passed away in her hale pili at Hulihe‘e Palace in Kailua, Kona. At the time of her death, she was Hawai‘i’s largest landowner and designated Ke Ali‘i Pauahi Bishop as recipient of the only major bequest in her will. Mrs. Bishop received approximately 353,000 acres from her cousin’s inheritance of Kamehameha family lands, which totaled nearly nine percent of all land in the Hawaiian Islands.